A lot can happen in ten years . . . .
My goodness... how time flies. There are a number of different important dates for an organization. There's the date of incorporation, the date that it is first formed, and, of course, there's the date when the idea first comes to mind. It was ten years ago today that COARE was conceived, as a result of a life changing experience. When people find out that I founded this organization, they often ask about my inspiration, and what led me to create COARE. I happily tell the story, although sometimes in an abbreviated format, and more often than not, the person will say something along the lines of, "wow, you've got to write that down!" Eventually, a "history" section will appear on the COARE website, but in the meantime, I thought a tenth anniversary might be a good occasion to honor the foundation of the path that led us to where we are today. Ten years ago, Howard and Michele Hall were in Fiji finishing up their work on the IMAX film Coral Reef Adventure. A dear friend alerted me to the production, and also let me know that Howard and Michele would be doing some planned shark dives from the main island. They had recently acquired a high definition camera, had built a custom housing for the beast, and were planning to replace some of their standard definition library footage of sharks with new high definition material. Encouraged by my friend's recommendation to visit Fiji, and the opportunity to blow bubbles alongside two of my underwater heroes, I made arrangements to join them on that trip. Fast forward... to Fiji's main island, Viti Levu. I met Howard and Michele on board Aqua Trek's boat. We shuttled out to Beqa Passage, where the excitement would begin. The site was set up with a viewing area for customers at a depth of approximately 20 meters. From there, the bottom gently sloped down to a theater-like plateau at approximately 32 meters. This is where Howard, Michele, and I eventually found ourselves surrounded by sharks. Howard Hall heading down to the shark "theater"
We did several dives at this location, and we estimated that we had twelve or more species of sharks swimming around us, including a great number of bull sharks (Carcharhinus leucas) and a very large tiger shark (Galeocerdo cuvier). 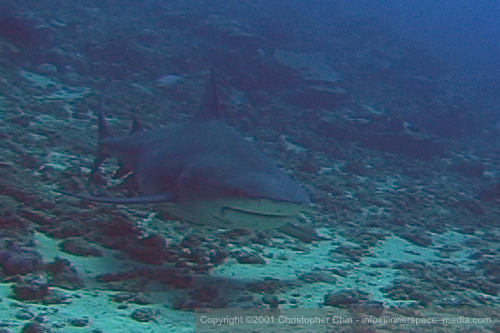 The star of the show was the tiger shark, and she was magnificent – graceful, powerful, and impressive. While I was amazed by my first tiger shark, it was the second day of filming, and another species, that would hold great meaning for COARE. We were down in the "theater" again, with the big fish all around us once more, with some of the more curious sharks just an arm or camera length away. I began to recognize some of the individual animals by their behavior and swimming style, and then it happened: as one particular bull shark began to swim by, she looked me dead in the eye... and held the gaze. We locked eyes for eight or more seconds as she made a slow semicircle, and I was in absolute awe. Even people don't maintain eye-contact that well! If you think that eight seconds does not seem like very long, try counting to yourself next time you make eye contact with someone and see how long you can hold it. In that moment, I realized this shark was a sentient being. It wasn't just a primitive fish mindlessly fulfilling its biological needs; she was a sentient being trying to figure out who the heck I was and what I was doing there. 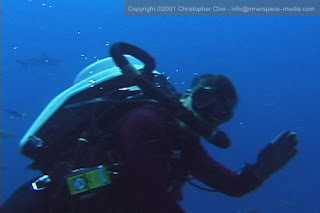 My whole world changed in that moment, and it occurred to me – I had been diving with sharks for years and had never realized what I did that day.... and if *I* didn't know this, what about the other people on the boat or other divers? What about people that have never even been to the ocean? They have no idea. I'd just had this amazing epiphany, and felt compelled to share it. I knew that sharks were in trouble (but didn't fully realize the extent of their plight at that point), and that they were maligned and suffered from a bad reputation. People needed to know just how special sharks are, and that they need our protection. I surfaced and handed my camera up to the boat crew, and as I climbed on board, I decided that I needed to do something; I needed to make a difference. It took a few years of reflection, research, and thought-provoking conversations to figure out what to do, how to do it, and what needs an organization should fill and what role it should play. With the help of my dear friends Linden Wolbert and Nico Danan, we chose the name, and developed the mission and vision, and in May of 2006, COARE was born. 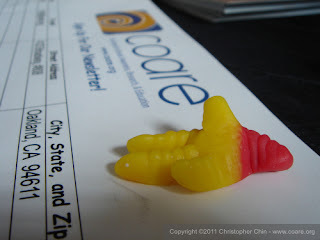 COARE was incorporated the following February, and we've done some amazing things these last five years. 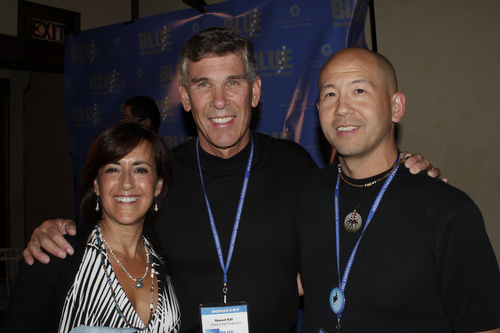 Over the years, I would see Howard and Michele in passing at different events, but it wasn't until the BLUE Ocean Film Festival and Conservation Summit of 2010 that I finally shared that story with the Halls. 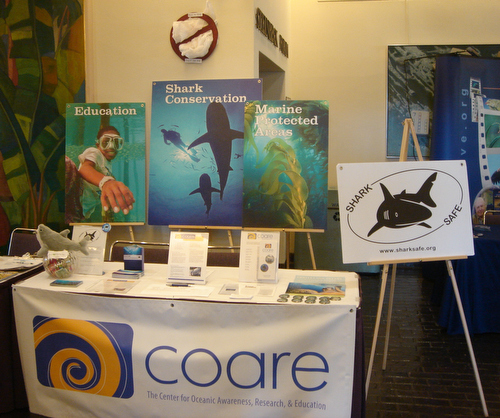 COARE had a presence in the sponsorship hall, and as I showed them our table, I explained quickly some of our programs, and then revealed how they were a part of this – how they were there for the original spark that became The Center for Oceanic Awareness, Research, and Education. Earlier this month, with Governor Jerry Brown's signature, California enacted Assembly Bill (AB) 376 banning the sale, trade, possession, and distribution of shark fins. 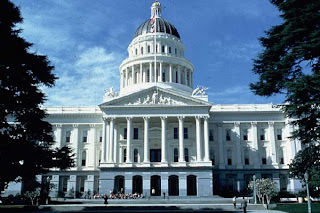 In so doing, California became the fourth and largest state in the U.S. to enact a legislative ban on shark fins. While we're celebrating the victory for sharks here in California, we're also supporting the effort in Canada's largest city – Toronto. After a disappointing and discouraging report from Toronto's Municipal Licensing and Standards Division, I decided to attend the next City Council Licensing and Standards Committee meeting where they would be reviewing and considering the implication of that flawed report. 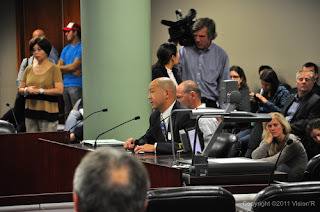 To that meeting last Thursday (13 October), I brought several perspectives, including that of someone who grew up with shark fin soup, and that of someone intimately involved in the legislative processes of several States "south of the border", as they put it. 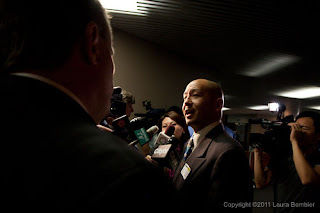 We saw a number of similarities between the shark fin ban in California, and the one proposed for the City of Toronto. Since there were so many speakers/deputants interested in addressing the committee, speaking times were limited to three minutes. 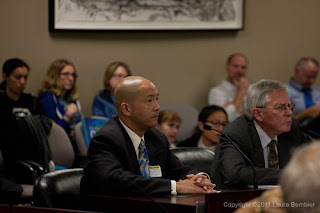 However, because of the great interest in my perspective and COARE's experience in the western U.S., many of the committee members and guest Councillors posed questions. All in all, my three minutes turned into well over twenty – much more than any other speaker enjoyed. In the end, the committee voted unanimously to continue the process and recommend the ban to the full City Council. We are extremely pleased by the strong message that this vote sends. 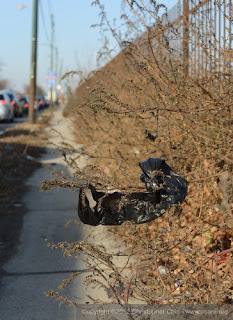 The City Council will consider this issue this Monday, 24 October 2011. While we are optimistic that this will see favor in the full Council (especially in light of such a strong committee recommendation), it's still important that we reach out to the Mayor and Council members to encourage them to support the measure as well. If you live in the GTA, and especially if you live in Toronto proper, please be sure to contact the Mayor and the City Council. At a minimum, you should contact the Mayor and the Councillor for your ward. Your message to the Mayor or your Councillor need not be detailed; simply include your name and address (so they know you're one of their voters), and indicate that you want him/her to support the shark fin ban. Use your own words, or feel free to draw from this sample message text. Remember, your two minutes can help save millions of sharks!